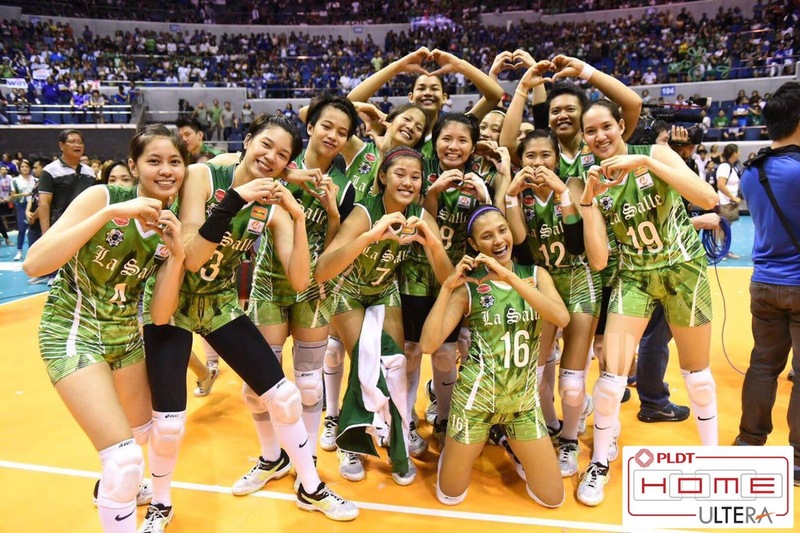 MANILA, May 2, 2016 – UAAP Women’s Volleyball Season 78, presented by PLDT HOME Ultera, drew to a close as the DLSU Lady Archers scored the winning point against the Ateneo Lady Eagles in game three of the emotional finals series, snapping the latter’s winning streak and regaining the coveted championship title. With a score card of 19-25, 25-21, 25-16 and 25-16, the final match kept the audience at the edge of their seats up to the last second, engaging them in the intensity of the situation. Not only was this the biggest ADMU-DLSU matchup of the season, but it was also the last UAAP Championship game of Ultera ambassadors Alyssa Valdez of ADMU and Mika Reyes and Ara Galang of DLSU, who will soon be graduating from their respective universities. Bagging this season’s Most Valuable Player award for the third consecutive year, Valdez has reeled in bar-raising titles for herself and her teammates. Champion Middle Hitter or Blocker Reyes, on the other hand, was one of the key players who brought the DLSU team to victory in UAAP Seasons 74 and 75, while the powerful Open Hitter Galang was a two-time team captain and Season 75’s MVP. Throughout their unforgettable UAAP journeys, these athletes have garnered steadfast support and encouragement from their families, friends, fans and teammates. Through blissful victories and painful defeats, one thing remained constant: the veterans’ ability to inspire young athletes with their contributions to collegiate, as well as national, volleyball. These well-loved headliners will be missed and will continue to be honored as they leave a legacy of true sportsmanship and dedication in UAAP. UAAP Women’s Volleyball Season 78 is among the projects highly supported by PLDT HOME Ultera as part of its sports advocacy to promote volleyball to young athletes at the grassroots level. Together with brand ambassadors Alyssa Valdez, Mika Reyes and Ara Galang, PLDT HOME Ultera extends gratitude to all the fans which made not only the season, but also Philippine volleyball, a great success. PLDT HOME Ultera offers PLDT HOME’s most affordable LTE broadband with the all-new Plan 699! Log on to pldthome.com/ultera for more ultra-fun offers.